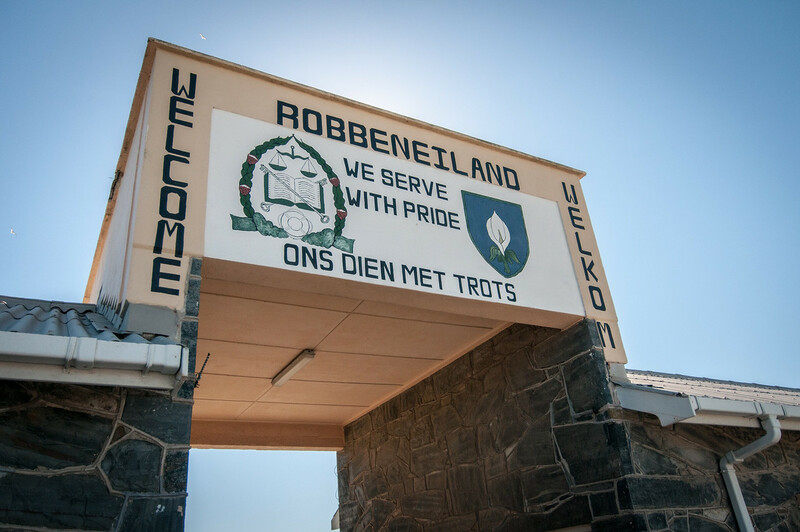 Robben Island was used at various times between the 17th century and the 20th century as a prison, a hospital for socially unacceptable groups, and a military base. Its buildings, and in particular those of the late 20th-century maximum security prison for political prisoners, testify to the way in which democracy and freedom triumphed over oppression and racism. What survives from its episodic history are 17th century quarries, the tomb of Hadije Kramat who died in 1755, 19th century ‘village’ administrative buildings including a chapel and parsonage, small lighthouse, the lepers’ church, the only remains of a leper colony, derelict World War II military structures around the harbor and the stark and functional maximum security prison of the Apartheid period began in the 1960s. The symbolic value of Robben Island lies in its somber history, as a prison and a hospital for unfortunates who were sequestered as being socially undesirable. This came to an end in the 1990s when the inhuman Apartheid regime was rejected by the South African people and the political prisoners who had been incarcerated on the Island received their freedom after many years. 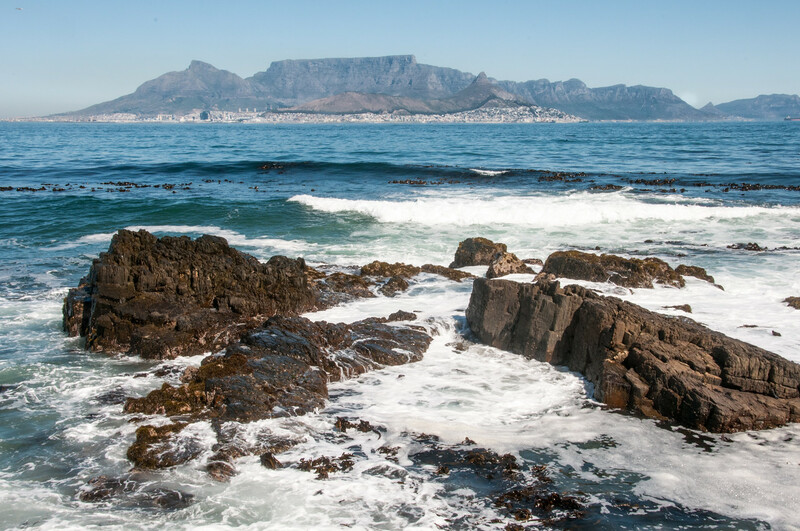 Visiting Robben Island isn’t difficult, but you can’t put it off until the last minute. As it is an island, the only way there is by ferry, which takes 45-60 minutes from the Cape Town waterfront. It is advisable to purchase your tickets at least a day before as space on the ferry is limited. Also, inclement weather may cancel the ferry, which is why I wasn’t able to visit during my first visit to Cape Town in 2010. Once on the island, I found the visitor experience to be less than stellar. Immediately when you get off the ferry, you are herded into tour buses which take you around the island. You are not allowed to get off the bus at any of the historic sites. You can only get off at a gift shop. At the end of the bus tour, you are taken on a tour of the actual prison, which is led by form inmates. The idea of having former inmates lead the tours is a good one, but there were 70 people in my group which made the experience very tedious, trying to herd that many people from room to room. I couldn’t help but think that they should do something to shrink the size of the groups. Either add more guides or make the tours run by former inmates optional for a fee, which would go directly to the guides. That being said, Robben Island is still something which everyone should see if they are visiting Cape Town for the first time. It provides an important part of the history of mondern South Africa. Robben Island is a cultural UNESCO World Heritage Site in South Africa. It was inscribed during the 23rd session of UNESCO in 1999. Robben Island is located in Table Bay, which is located west of Cape Town (roughly 7 kilometers). The name of the island is actually of Dutch origin, which literally means “seal island”. The shape of Robben Island is oval. It is 3.3 kilometers in length from north to south and less than 2 kilometers in width. The entire area of the island spans a little over 5 square kilometers. The terrain on the island is flat and rises only a few meters above sea level. Robben Island was most active in the 17th century when it was used primarily for political prisoners. The Dutch settlers were the ones to utilize this island for penal purposes. In fact, the first prisoner that was sent into the site was Autshumato, who was incarcerated here in the middle of the 17th century. Over the years, there have been many prisoners at Robben Island, which includes political leaders and those who initiated a mutiny on the slave ship. Aside from being used as a prison, there was also some point in history (around the 19th century) wherein the site was converted into a leper colony and quarantine station for animals. This was done on a voluntary basis at first; once the lepers were cured, they were free to go. It was during the 1960s when the history of the use of Robben Island to house political prisoners started. This was through the initiative of the South African government. 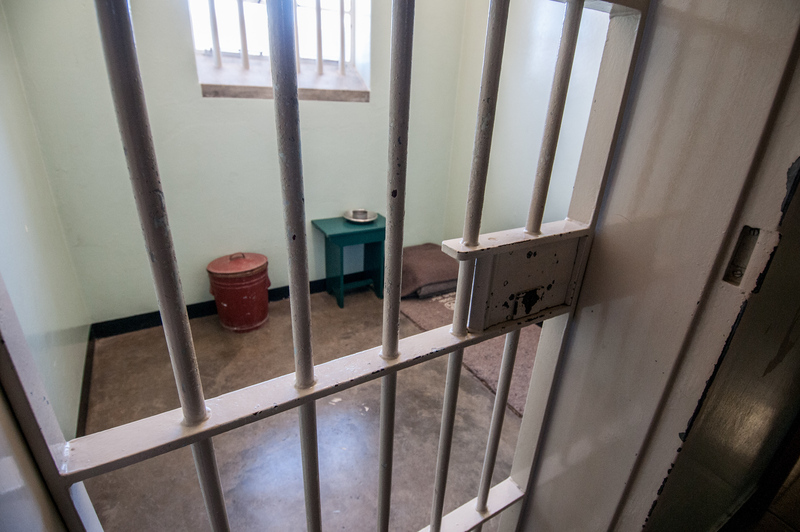 If you want to visit the UNESCO site Robben Island, you can do so by booking a tour. 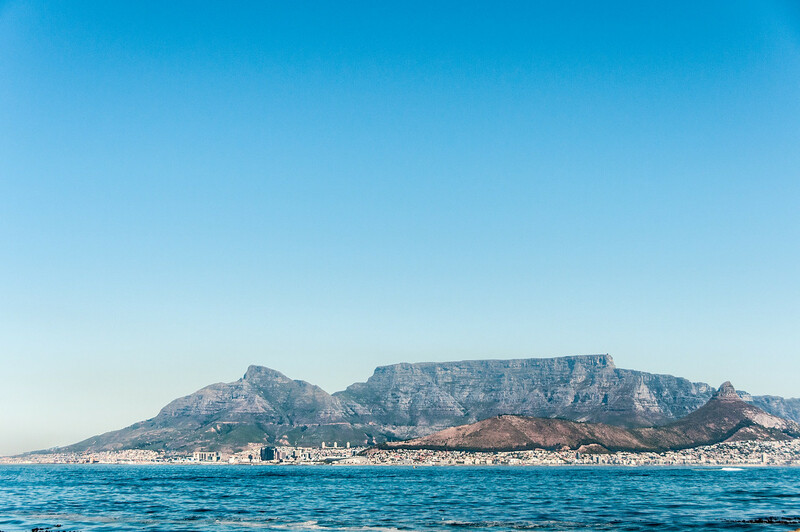 There are several tours that operate from the waterfront of Cape Town, which provides tourists the opportunity to see Robben Island up-close and personal. Most tours depart 3 times a week and each tour will take less than 4 hours. This tour will include the ferry ride to and from the island. 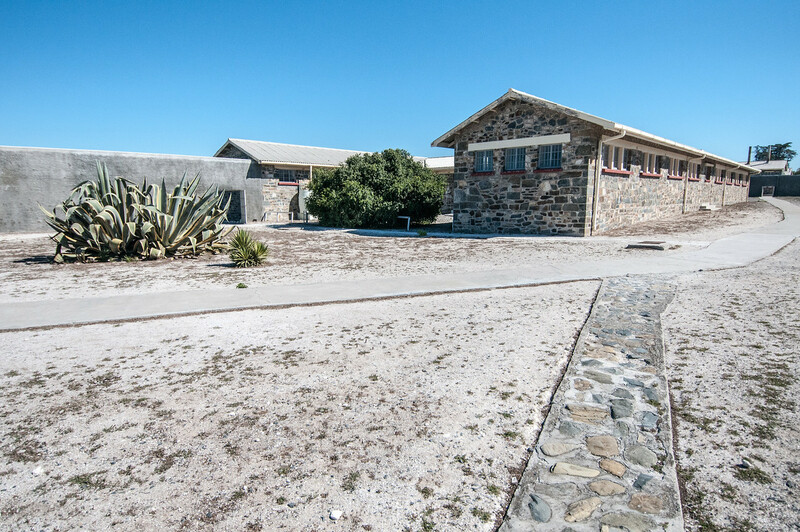 You can also explore the Robben Island Museum during your tour.